The Office of the Illinois Attorney General has continued its "Operation Guardian" sweeps of nursing homes. According to recent reports, "Operation Guardian" most recently conducted compliance checks at Wood Glen Nursing and Rehab Center in West Chicago and at Westmont Nursing and Rehabilitation Center. "Operation Guardian" is a multi-unit taskforce assembled to protect nursing home residents. 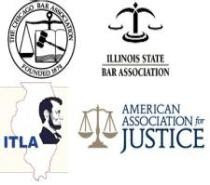 The Illinois Department on Aging’s Long Term Care Ombudsman Program which evaluates nursing homes to make sure that residents’ rights are not being violated. The Department of Financial and Professional Regulation interviews nursing home administrators and performs a license check of all professionals (R.N.s, L.P.N.s, etc.) employed at the nursing facility. In the recent sweep at Wood Glen Nursing and Rehab Center, investigators found one resident who had been reported as missing and arrested one employee and one resident based on outstanding warrants. At the Westmont Nursing and Rehabilitation Center, investigators arrested one employee based on an outstanding warrant. Nursing homes have a responsibility to check the background of their employees and their residents to ensure that potentially violent or dangerous individuals are not living or working in their facility.